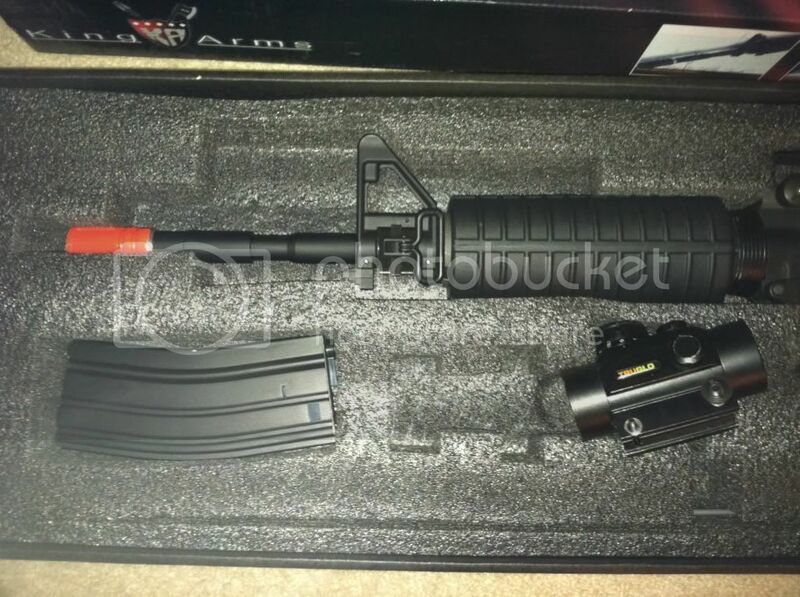 I have a brand new King Arms COLT Licensed M4 that has only had 1 to 2 mags through it. That's it. Wired it to deans and wanted to get back into the sport. But I have too much going on. Car, gas, school, job. Now the specs. Wired to deans! Deans does work and has a stiff connection but is solid as a rock. Shoots a little more faster fully charged. NO CHARGER INCLUDED BUT EVERYONE SHOULD HAVE A SMART CHARGER FOR DEANS. I filled in the engraved parts white for a nicer look. Orange tip can be removed as I already melted the glue and made sure the screw could be loosened. 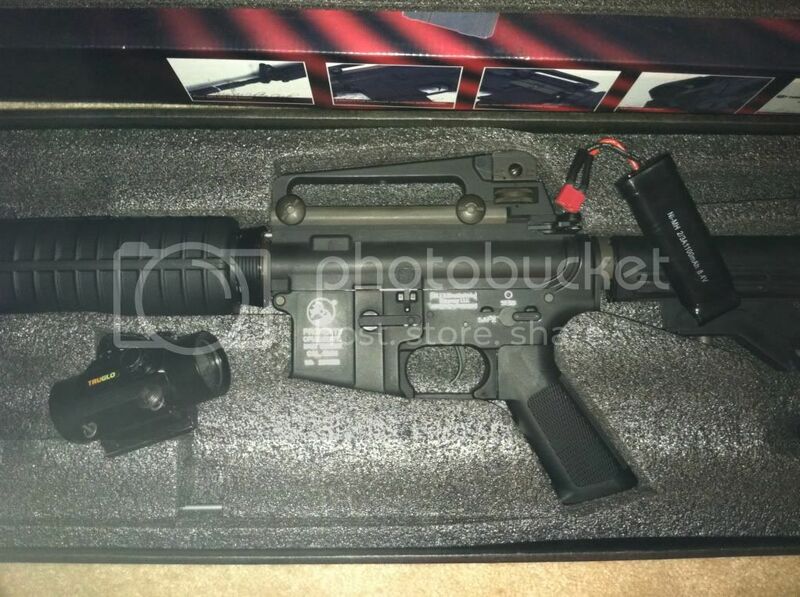 Includes a red dot sight with adjustments and levels of brightness. Tru-Glo Red Dot. Not fancy, but it is sighted in already. Works great, new battery in it. That's all! Need answers? Just ask. I am taking $175. That includes around $20 for shipping. I can take care of the rest. Pay-Pal is accepted. When the pin is pulled, Mr.Grenade is not our friend. Last edited by Sgt.Woody; 10-18-2012 at 08:22 PM. Reason: Price change. BUMP!!! Price changed to $175! 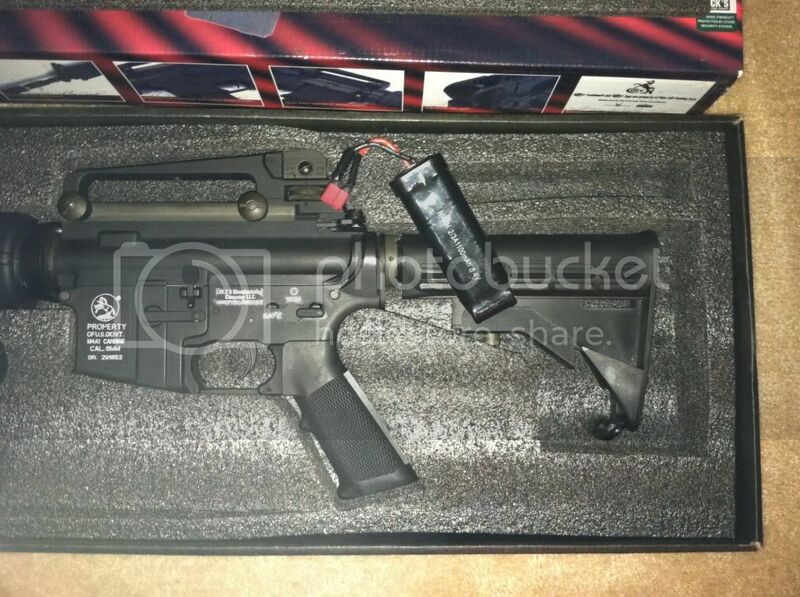 This is a GREAT airsoft gun that needs a home. 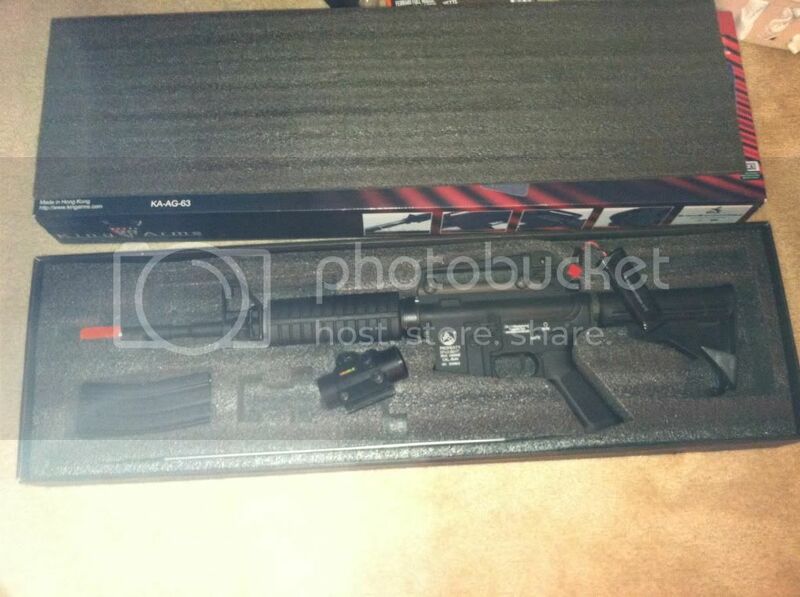 Not being used by me so it definitely needs to find an avid airsofter. BUMP! Possibly sold, don't quite know yet.